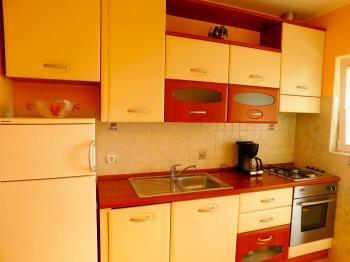 Sea View Apartment: This is a one bedroom apartment with possibility to accommodate 3 persons. 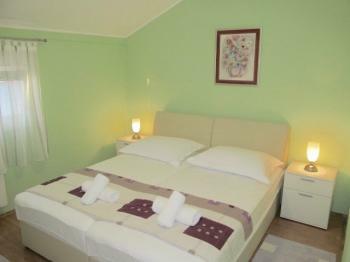 It includes one bathroom, a fully furnished living room and a fully furnished kitchen and dining area. It also includes a TV, Internet, Air Conditioner. With a big balcony, all guests can enjoy a gr...eat sunset filled dinner. 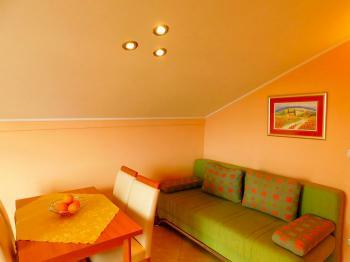 This apartment comes with parking in the driveway, and is a seconds walk from the beach. 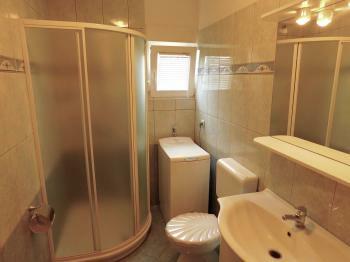 This apartment is located seconds away from the beaches in Borik and both Diklo. You are near a plethora of restaurants, grocery stores, and anything your heart desires. 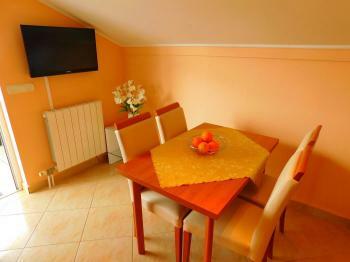 5 minute drive from city centar. 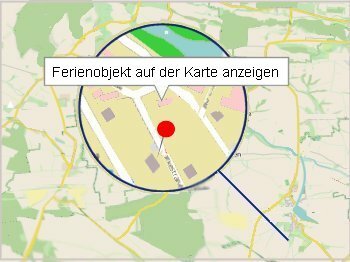 Vermieterin ist eingetragen seit 24.05.2017.